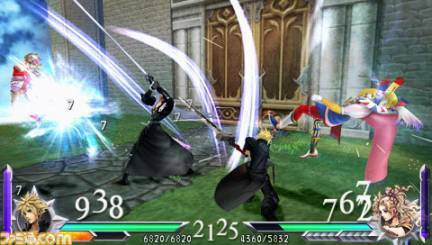 The sequel to the all-too popular Final Fantasy mish-mash fighting game, Final Fantasy Dissidia has 3 secret characters available for you to unlock. Complete the Main Scenario 000 to play as Desperado Chaos. Complete Report 08 (6) with Bartz to play as Gilgamesh. Complete Report 08 (2) with Shantotto to play as Prishe Chaos. Important Note: Aerith is available as DLC from the PSN Store so the usual restrictions apply (access to the PSN Store, legit copy of the game under your account, etc). Well the Prologus game is only $2.99 on the PSN. Really not that expensive. I have a Go w/6.20 and was able to download it. Or on my 3000, just used psnlover.